A new member in the Lavazza Team, and in the Italian National team. 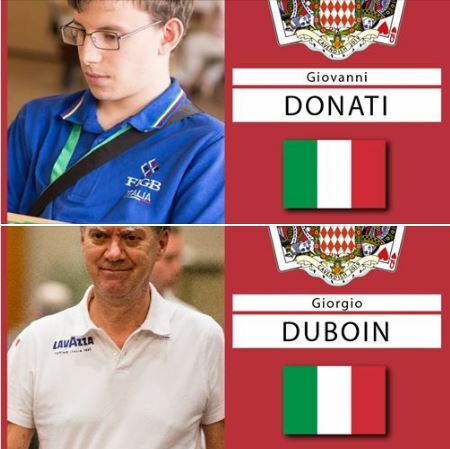 The new member is Giovanni Donati, he is going to be partnering Giorgio Duboin. You will be able to see them for the very first time in the Cavendish VI in Monaco, Hotel Le Meridien, 3-8 February 2019.